What Are The Types Of Pink Hair Extensions? If you’d like to make your look a little more edgy then pink hair extensions are an easy way to achieve a different look. 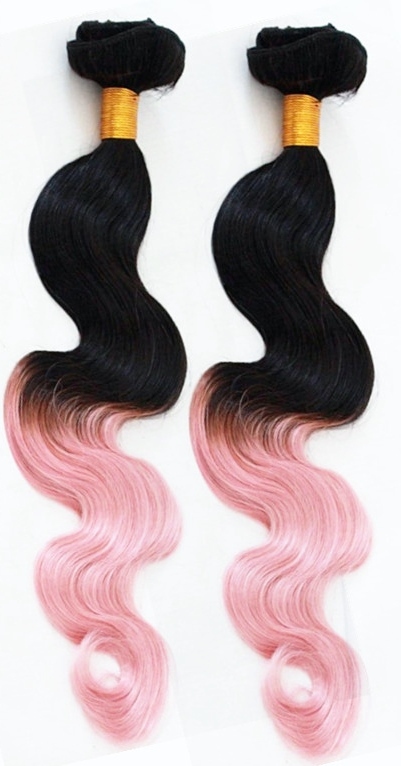 You can go for something disposable such as clip-in hair extensions. These are great because they can be taken out each day without damaging your own growth hair. They come in lengths from 6 inches to around 22 inches so no matter what your growth hair length, there’s something for you – oh and they're made in mainly synthetic hair versions. If you want a semi-permanent look then why not opt for pre-tipped hair extensions, using a heat fusion method. If you find fusion a bit daunting then why not look for pink micro ring hair extensions which allow the semi permanence of fusion hair extensions but with none of the glue. 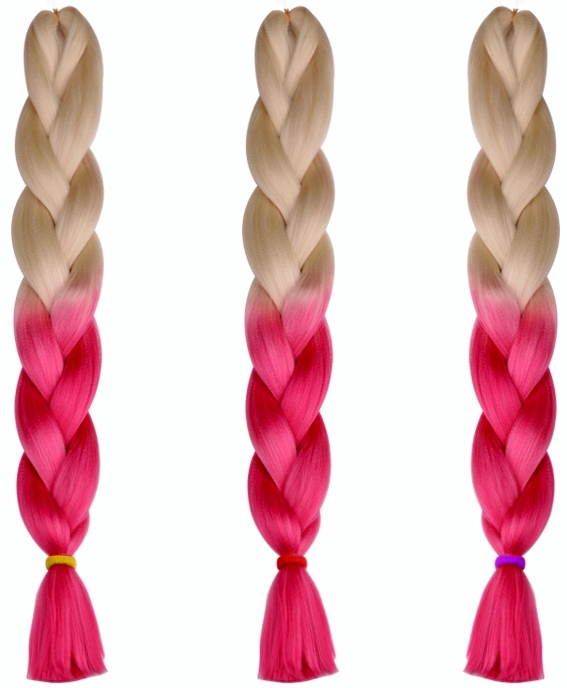 Braid lovers, you can also braid pink extensions into your hair - a favourite of mine. If you're into dreads then why not make your look really funk? The good news for you is that, you can buy pink dreadlock extensions to alter your look. You can also choose how much pink hair you end up having as they’re available in single and multi-clip varieties. 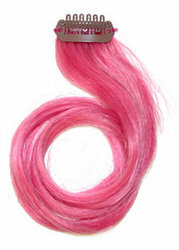 Who Can Wear Pink Hair Extensions? They’re suited to everyone and the best thing about these is that if you’re not keen on your young teenagers or even tweenagers wearing fusion hair extensions then you can easily choose a pink coloured clip-in hair extension that they can take out for school and just wear it on weekends. If you have a cool undertone to your skin colour then go for deeper pinks. If you have a warmer undertone to your skin then fuchsias and hot pinks will work well. If you're not sure what length would suit you, then check out our hair extension lengths by face shapes guide for the lengths that suit different faces. When choosing the length, it might help to think about the shade of the pink and whether it's a solid colour or dip-dye look - as your look will be dictated by what colour hair is framing your face. If it’s a bright and vivid pink then a shorter look might work better. If it’s a pastel shade of pink or a pink hue over blonde hair, then shorter or longer lengths won’t seem overly dramatic. If you love long lengths then your pink extensions might work better as ombre, dip-dye or T-colour looks. Why Choose Pink Hair Extensions? It’s simple really, when you think about it, if you were to use a permanent dye on your growth hair then you risk damaging it due to the bleaching that’s required. This way you get a hot and fresh new look without any of the worry about damaging the health of your growth hair. It’s safe, simple and easy! You’ll be able to find all sorts of extensions in all sorts of colours at our store.